Do you ever have one of the "Really?!" moments? 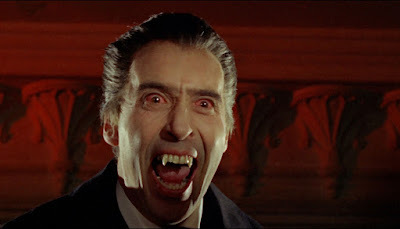 I did yesterday - I realised that I had never actually seen Hammer's Dracula all the way through. I've seen the end a hundred times and most of the other Hammer Dracula films, but not actually Dracula. I realised this when I saw a clip on Youtube and didn't recognise a couple of the actors as having been in the film - LOL. I rectified it of course - immediately :) I have now seen Hammer's Dracula with the wonderful Christopher Lee and Peter Cushing. I actually had to go and look up all the Dracula films to see which ones I had seen and which ones I hadn't. Turns out I hadn't seen The Brides of Dracula either, but now I have :). This entry was originally posted at http://beren-writes.dreamwidth.org/350541.html.